The beet plant is a fast-growing vegetable that can be grown just about anywhere. Although beets are known as a root crop, all parts of the beet plant are edible. Tender beet greens can be harvested when thinning a row of beets. The most commonly known root beets are red, but golden and striped varieties are now popular. They are a cool-season vegetable crop, and you may be able to get both an early crop planted in the spring as well as a crop planted in the summer or fall. Beets are easy to grow from seed in your garden or a container. You will need to consider how much room you have to dedicate to this crop. The size of the plants will depend on the variety you grow and at what stage you harvest, but on average beetroots grow 1 to 3 inches in diameter. Leaves can spread about 12 inches and grow to about 8 to 12 inches high. Because beets are generally grown as a root crop, they will do best in full sun but should do fine in partial shade. You can tuck beets in between taller plants in the garden. Beets prefer acid soils. A light, well-draining soil is best. Rocks, clay, and anything that can interfere with the roots development should be removed. Beets need boron to prevent black heart. You can provide boron by using compost or seaweed extract. To prevent deformed roots, keep the area free of weeds. Provide at least 1 inch of water every week. Mulching will help to keep the soil from drying out and getting too warm. Beets are not quite as cold tolerant as cool-season vegetables, like broccoli, but they can tolerate a light frost. They like cool temperatures, so beets are generally grown in the spring or fall. If planting in the spring, wait until the soil has warmed and dried out. A soil temperature of 50 degrees Fahrenheit (10 Celsius) is ideal. You can sow successive plantings as long as the daytime temperature isn't above 75 degrees. 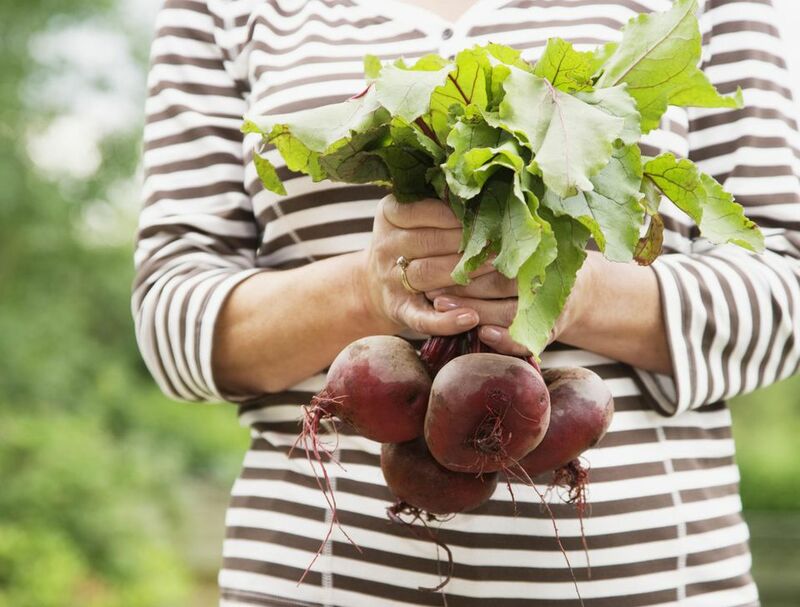 If you plant your beets in the fall, seeding can begin again once nighttime temperatures begin cooling off. Be sure you leave about a month before your first expected frost, from your last seeding. If your soil is not rich in organic matter, supplemental feeding will be necessary about two weeks after the beets emerge. Any good vegetable fertilizer will do. "Burpee Golden" have a beautiful yellow-orange color but are more temperamental when growing. "Detroit Dark Red" is great for fresh eating or canning and pickling. "Mini Ball" produces individual-sized beets and is great for growing in containers. Beets don't transplant well and are always direct sown from seed. For a longer harvest, beets can be planted in succession every three weeks. The beet seed in packets is really clumps of four to six seeds. You can plant the whole clump and thin the seedlings when they get a few inches tall or you try and separate the clumps into individual seeds before planting. The safest way to do this is to gently run a rolling pin over the clumps. Be careful not to crush the seeds. Most gardeners find it easier to simply thin the young greens. You can eat the thinned leaves in salads. Beets grow with a portion of the root above ground, so seeds do not need to be planted deeply, 1/2 inch to 1 inch deep is sufficient. As the temperature warms, plant them 1-inch deep because it will be cooler underground. Beets are planted only about 2 to 3 inches apart. That's all the space the roots need and when the leaves start growing together, they provide a cooling mulch for the roots. You can plant in rows, wide rows or blocks. It's easiest to simply broadcast the seed and then thin the plants to the recommended spacing. All thinned plants can be eaten. Beet seeds can be slow to germinate, because of their tough outer shell. Soaking the seed clusters overnight will help soften the shell and speed germination. You can always use the old trick of planting fast sprouting radishes in the same row as your beets. It helps to mark the row and loosen the soil. By the time the beets start to develop, the radishes are ready to be pulled. Another germination trick is to cover the seed in the garden with vermiculite, peat moss or some other non-crusting material. This will keep the seed moist and warm, but not inhibit it from breaking through the surface. This trick is very useful in gardens with less than ideal soil. You can start harvesting the beet greens when they are a couple of inches tall. The greens are most tender before they reach 6 inches long. The days to maturity are generally 50 to 70 days for most varieties. Beetroots are ready to harvest when they are approximately 1.5 to 2 inches in diameter. Larger roots are tougher and more fibrous. Harvest by tugging or digging. Leave at least 1 inch of the stem on the bulb to avoid bleeding during cooking. Beets are ideal root cellar vegetables and can be stored for three to four months at near freezing temperatures with high humidity (98 to 100 percent). Beets can also be canned, pickled, or frozen. Their compact growth habit makes beets a good choice for containers. The containers should be at least 8 to 12 inches deep and have good drainage. Be sure to keep the pot well watered. Small varieties of beets like "Mini Ball" and "Baby Ball" do especially well in containers.